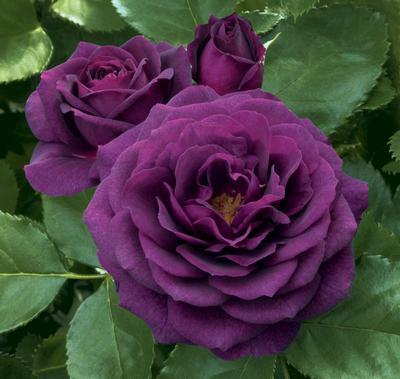 Ebb Tide may be the deepest, darkest, most scrumptious purple rose we've ever seen. It boasts smoked, deep plum-purple double blossoms. The shrub grows in a compact, rounded shape and is very disease resistant. It has a strong fragrance, a wonderful combination of clove and citrus blossom.